The Maine is one of Dubai’s best-loved restaurants for brilliant brasserie food, lively ladies’ nights and delicious business lunches. And, hot on the heels of the announcement that a second one will open in Dubai Studio City this April, we’ve learned that a third venue will open its doors in Business Bay later this year. 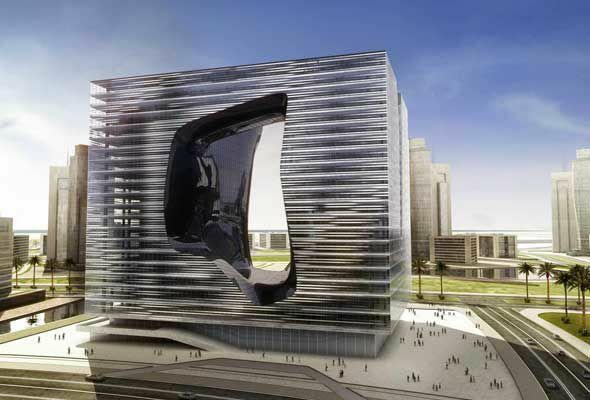 The restaurant will open before the year is out on the ground floor of the ME by Melia Hotel, which will open its doors in The Opus, designed by the late legendary architect Dame Zaha Hadid. This time around, the restaurant will be called The Maine Land Brasserie, and will be more like a city grill style brasserie, according to The Maine founder, Joey Ghazal. Designed for the Downtown crowd, guests can expect an in-land feel with a darker, more sultry design, and a heavy meat focus on the menu. Though, fans will be pleased to hear all of the best-loved dishes from the JBR menu will make their way to Business Bay. “The Maine has been really successful over the last 3 and a half years, and it’s become such a strong brand,” explains Joey Ghazal of the new openings. “But each brasserie has it’s own unique personality, and that’s very exciting”. 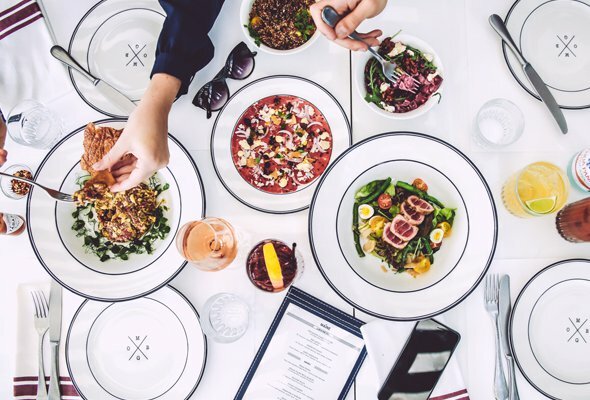 The Maine Land Brasserie will open several months after The Maine Street Eatery, which is set to make its Studio City debut this April. While there’s a strong nautical feel at the original in JBR, the restaurant founder tells What’s On that the Studio One brasserie will be more of a neighbourhood eatery with a warm, cosy more feminine feel. “While we’ll still be serving our greatest hits, The Maine Street Eatery menu will feature more pizzas and salads, we’ll also do delivery, which we don’t do in JBR, and open for breakfast,” Joey confirmed. Around the same time as the Studio One opening, there’s also plans to launch The Maine Food Truck, a taco truck serving the restaurants signature Fish Tacos, alongside four other varieties. It will be available for private hire, as well as touring the city’s popular festivals. It’s an impressive expansion for the homegrown brand, and there’s even bigger plans in the pipeline. “In every city in the world, there’s a multi-site brasserie company – except for Dubai. Essentially, we’re owning that” Joey explains of The New England Brasserie Company, the parent company of The Maine restaurants. The Maine Land Brasserie will be one of an array of popular restaurants and bars that will open its doors in the first ME by Melia Hotel in the region. Originally a Spanish hotel brand, the hotel will also be home to contemporary Japanese robatayaki restaurant, Roka. Founded in London in 2004 by Zuma’s founder Rainer Beck, the award-winning restaurant will feature a central robata grill as well as signature dishes from Roka’s famed London menu. Elsewhere, the hotel will also be home to a Radio ME Rooftop Bar, which is known as one of London’s most popular – and stunning – rooftop bars. There’s set to be no less than 15 restaurants and bars in the ME by Melia Dubai, so we can’t wait to see what else opens there.